Combine the flour and za'atar in a shallow bowl and set aside. Stir half the Frank's RedHot Original Cayenne Pepper Sauce into the yoghurt and set aside. Lay the halloumi on kitchen paper to dry. 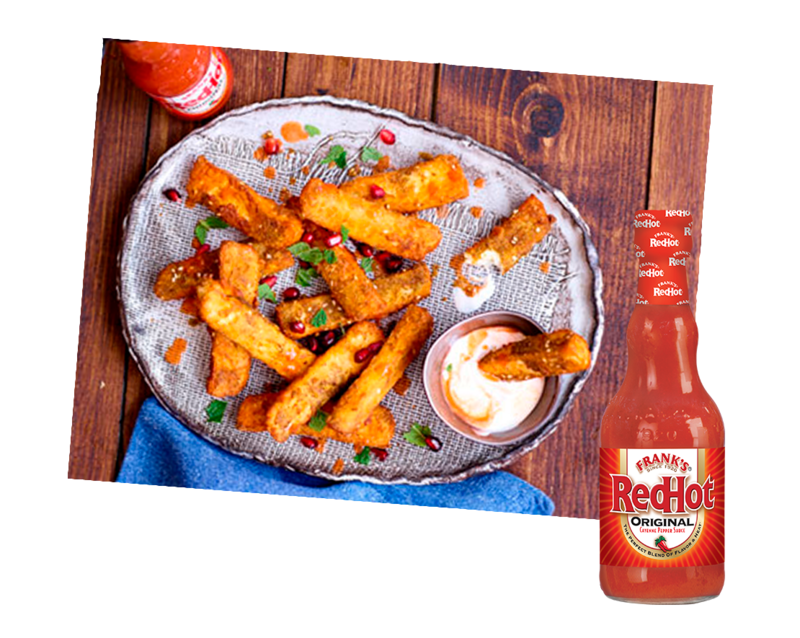 Brush each halloumi chip with Frank's RedHot Original Cayenne Pepper Sauce, then coat in the flour mixture. Heat the oil to 190°C. Add the chips in 2 batches and cook for 1-2 minutes turning once until golden. Drain on kitchen paper. Serve the chips, scattered with the mint and pomegranate seeds, with the yoghurt for dipping.